Many people who seek a divorce reportedly do so because they feel trapped in an unhappy life. They suppose that if they could liberate themselves from their marriage, which they believe to be the cause of their unhappiness, they could 'move on' to a life that is more fulfilling. Social research, however, has exposed the fallacy of this myth. A study conducted by the Institute for American Values Center for Marriage and Families found that divorce frequently fails to make people happy. The longitudinal study surveyed a large representative sample of adults who reported being unhappily married. After a five year period, all of the subjects were re-interviewed. Some of the couples had separated or divorced and some had remained married. Among the couples who originally claimed to be unhappy and decided to divorce, only 19% reported that they were happier five years after the divorce. 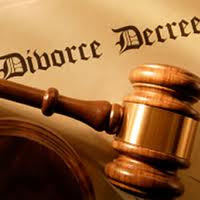 The overwhelming majority, 81%, reported being either just as unhappy or more unhappy five years after the divorce. The popular wisdom that divorce liberates those who are 'stuck' in an unhappy marriage is clearly erroneous. In some cases, divorce may provide a perceived temporary relief from emotional pain associated with a troubled marriage. However, divorce also ushers in a host of new - often unanticipated - emotional, psychological, financial, social, and spiritual issues. Such issues can include: guilt, regret, isolation, loneliness, custody battles, property and financial battles, extended family strife, emotionally scarred children, economic hardships, relocation issues, loss of friends, future romantic disappointments, and so forth. A tragic reality in American society is that approximately half of first marriages end in divorce. But, it should also be noted that over 60% of second marriages also end in divorce. Indeed, the risk of marital failure increases with each successive attempt. Given all that we know about the powerlessness of divorce to make people happy and the the inability of remarriages to succeed, one thing should be abundantly clear - your best chance of finding happiness is to stick with the marriage that you are in and make it work.